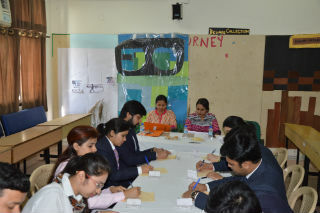 Mock campus process was held on Saturday, 5th March, 2016 in the JIMS, Rohini campus for the PGDM-I year batch 2015-17. 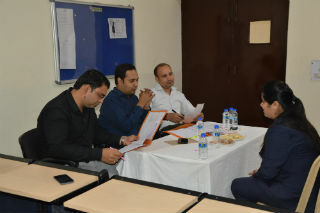 Students were exposed to real recruitment scenario of group discussion and panel interview, in which panelists were invited from corporate. 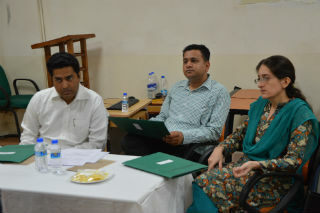 Few outside experts were senior alumni of JIMS, who are at senior positions in their respective organizations. 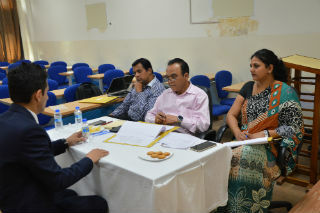 Each student was assessed on various parameters that are critical from the recruiter’s perspective and were provided suitable feedback by the panelists. The exhaustive exercise provided a great learning for the students, many of whom are fresher.